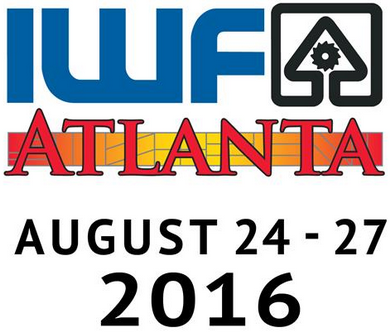 See us at IWF 2016 in Atlanta! In just three more weeks we’ll be walking the halls of the International Woodworking Fair! The IWF comes every two years and brings together all the players, big and small, of the woodworking industry. Be they suppliers, manufacturers, customers, or interested design professionals. We’re excited to be introducing our two new sales reps, Will McElmurrey and Brooke Roberson along with our longtime Lumber Sales Manager, Dave Kiley. We won’t have a booth this year but we’ll be ready with handy information packets and scheduling availability for woodworking and design professionals. So come on down to the wood fair! We can’t wait to meet you! We’re proud to annouce we’ve completed new training from the International Wood Products Association! This badge shows we’ve completed the Wood Trade Compliance Training and Due Diligence Tools course in High Point. This includes a comprehensive analysis of the requirements of the Lacey Act and other laws relevant to trade in wood products. This course was developed in partnership with the World Resources Institute and supported by the US Agency for International Development.